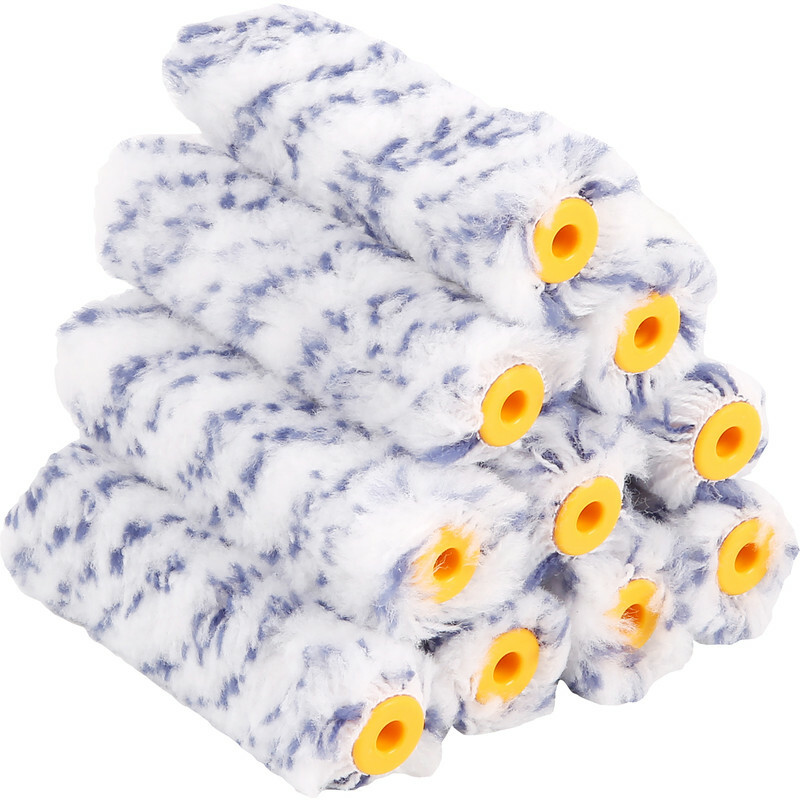 Rota Premier Dualon Mini Roller Sleeve 4"
Advanced 12mm woven polyamide fabric, gives exceptional paint loading and outstanding performance with masonry, emulsion and water based paints. Rota Premier Dualon Mini Roller Sleeve 4" (10 Pack) is rated 2.9 out of 5 by 7. Rated 5 out of 5 by Dumbunny from Works well. My wife does the decorating and swears by these rollers - won't use anything else. Rated 3 out of 5 by Grandad people from Rollers Not as good as I expected but ok. Rated 4 out of 5 by Dectosafe man from good value we use these for coating timber with a polyeurathane adhesive and they give good performance and due to the economic price we don't spend a fortune on cleaners they can be thrown away at the end of the shift.